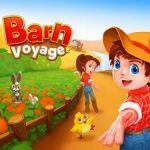 Animal Voyage: Island Adventure is an Android and iOS game by Pocket Gems that allows you to explore different islands and rescue trapped and stranded animals. We can say, this game has a good cause associated with it, considering all the stories you read about endangered species, or even more common animals in need of rescue. In this game, though, you’ll be saving “exotic creatures” from flooded islands, building a beautiful paradise for them, and creating your own “animal kingdom” where all your furry friends can live, away from danger. You can also decorate this new sanctuary to your liking and spiff things up to make it look more attractive. There’s a lot to learn about Animal Voyage: Island Adventure, and with that in mind, we’ve decided to give you a list of Animal Voyage tips, cheats and strategies for easy reference. Because regardless if you’ve been playing this game for some time or are just starting out with it, you’ll need all the help you can get when saving those animals and giving them a safe and beautiful new home. There are three different types of currency in Animal Voyage, two of them common, and one of them premium. Coins are the true common currency in this game, as you can use them to buy decorations, plant food for your animals, and travel to islands. You can earn coins by completing quests and from your animal’s houses on the main island. Leaves, on the other hand, are also common, and can be used to expand your sanctuary or complete missions. You can also get these by completing quests, but also by cleaning out your area. But just because they’re common doesn’t mean you should use leaves to expand into all new territories with an “expand” sign; use them wisely. Crystals are, by the name alone, the game’s premium currency. You’ll be able to buy a much wider range of items, but you should also be very prudent in spending your crystals, as they’ll be your only option if you need to repair bridges or do other things that ensure your continued progress. You should only spend them if the only choices are crystals or real-life money. Crystals are earned through specific quests or via treasure boxes that appear when you clean grass and other vegetation. We probably didn’t explain this too much in the game description above. But in Animal Voyage, you will be rescuing animals by playing Match 3 games. That’s right – it’s that ultra-popular form of mobile gaming that you know from Candy Crush and other related titles. And now, we shall be showing you some ways in which you could rescue more. 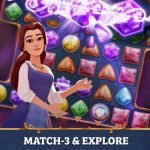 When playing the Match 3 games, you’ll be better off creating matches at the bottom of your board. You may not be matching items that are required to rescue an animal, but by working from the bottom, you increase the chances of making a combo and clearing the board faster. Just take your time and don’t rush things – you only have so many moves to use, and you wouldn’t want to run out at the wrong time. Speaking of moves, the last thing you want to do in this game is to pay for extra moves, thus allowing you more chances to get the items you need. Sure, the puzzles will become more complicated as you progress further into the game. But spending crystals on additional moves may leave you short and unable to pay for a bridge to be built. Remember that you can always try again if you fail; replaying puzzles is absolutely free of charge. Ah, yes, it’s that mainstay tip we’ve suggested in many a game. But wherever there are quests, we’ll share that tip to you anyway; following them allows you to progress naturally through the game. It may be a slow process, but at the end of the day, it’s these quests that will get you back on track if you get lost somewhere. Food can be left in your animal homes for as long as possible, as it doesn’t wither. So with that in mind, you’ll want to keep on planting, and to ensure that you’ve got one plot or more that’s producing food. That allows your animals to have enough energy at all times. Also be sure to clear all the debris on any given island; that means rocks, trees, vegetation, and the like. 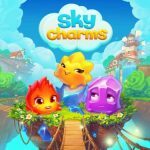 This allows you to improve your gains on items, unlock new types of food for you to grow, and maybe score some free crystals while at it. Some animals, such as Otto the Panda, would be able to help you clear trees and rocks. If you run out of plots to grow your food, you can always unlock more by finding shovels. These appear randomly in the game after clearing the above mentioned debris, and can also be earned from crates that you may stumble upon in the islands. Aside from the main island, there are a few others you can explore, but before heading off there, you should make it a point to bring some food with you. This keeps your animals’ energy at an optimum level, thus letting you explore all the areas you can explore at a given time. And if you’re currently out of food, you can grow blueberries and harvest them in a pinch. Once you start decorating your sanctuary, make sure you’ve thought it over for some time – are you placing those decorations where they’re supposed to go? Remember that you wouldn’t be able to resell or move your decorations; once you’ve placed them somewhere, that’s where they’re going to stay.